It’s no secret that the job search is difficult for job seekers. In fact, a 2017 CareerBuilder survey found that 73 percent of candidates feel looking for a job is one of life’s most stressful times. 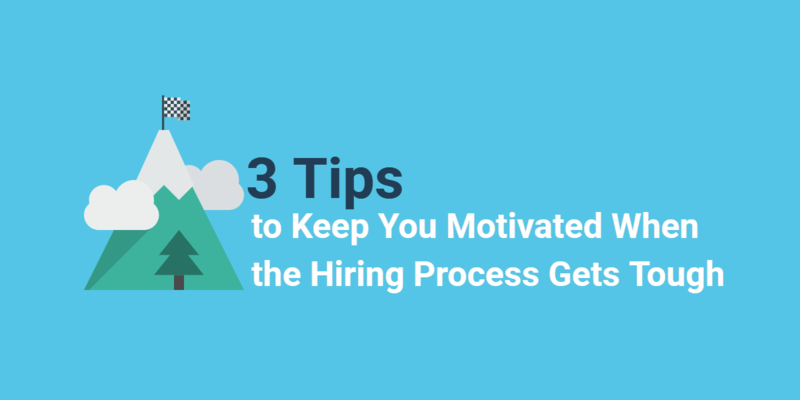 As an HR professional, you do what you can to make the hiring process better. But the hiring process can be incredibly stressful for you, too. It’s hard to find the best talent. It can take weeks, or even months before you’re ready to make an offer. And if that candidate doesn’t work out, the whole cycle starts over again. Understandably, even the most optimistic hiring professionals get frustrated. After seeing dozens of unqualified candidates, your nerves run thin. It’s tempting to just give the job to the next person who’s even moderately a good fit. Remind yourself: hiring the wrong person will be a bigger headache in the long-run. Keep it simple. When you’re stressed you need something you can easily remember. Make a connection. Not every inspirational phrase will resonate with you. Try out a few options and see what helps you relax the most. Embrace the distraction. The whole point of a mantra is to refocus on something other than the stress. So the phrase can be completely unrelated to hiring, as long as it gives your mind a break. Do you have a mantra to keep you calm during the #hiringprocess? When problems arise during the hiring process — and they will — it’s frustrating. Especially if the issues drag out the process or make you lose out on your top choice candidate. Instead of internalizing these failures, use them as a way to improve. Using hindsight to figure out the root of the problem, while helping you avoid it in the future, making your job less stressful. If you’re having trouble seeing what went wrong, get someone else’s opinion. Often a mentor or someone who wasn’t involved in that particular hiring can offer a fresh set of eyes. 3. Hire for the future. Turnover is the main reason the hiring process is so draining. Just when you think you’ve filled a role, the new hire leaves and you have to start all over again. Nip turnover in the bud by focusing on the future. With a little extra work early on, you can find an employee who’s perfect for the current role and for one with the company in the future. This will help reduce turnover in the long-run and keep your stress level low. Want more hiring tips? Follow us on Twitter!